People in the MS community are buzzing about the benefits of Pilates for MS sufferers. Pilates addresses many of the big issues that affect MSers, like balance problems, muscle weakness, and joint pain. The great part is that you can get all of these advantages doing a low-impact activity that will not stress or overheat your body, both of which actually increase your symptoms. The experienced instructors as Propel Pilates can show you exercises that help with stability and balance. Pilates is specifically designed to focus on strengthening core muscles and those surrounding your spine. A strong core is the key to overall stability. Pilates is also good for improving muscle and joint mobility, which in turn reduces the pain of MS. If you have experienced muscle weakness as part of your condition, Pilates for MS involves strengthening the surrounding to muscles to support those that aren’t functioning at full capacity. Feel free to speak with the staff at Propel to find out more about how Pilates can help you to boost your physical fitness without aggravating your symptoms. People with multiple sclerosis walk a fine line between staying active enough to improve overall health and overdoing it. A big part of this is finding an exercise program that addresses important areas like good posture and strong abdominal muscles, but does not place further stress on the body. 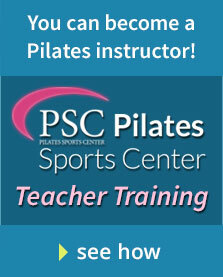 Pilates exercises for MSers do exactly that. Because a lot of the work is done on the mat in a seated position while practicing deep breathing and body awareness, you get the benefit of exercise without hurting your joints and muscles. Two of the most common problems of MS are a decrease in balance and an increase in joint stiffness. Pilates emphasizes building a strong core, which is critical to balance, and it is low impact, so it does not put pressure on the joints. In addition, Pilates increases flexibility and fluidity of muscles and joints, which absolutely helps to decrease pain. Propel offers Pilates classes that benefit people with multiple sclerosis in San Diego. The studio, located in Rancho Bernardo, has an excellent and knowledgeable staff along with a comfortable, welcoming environment. Drop in to learn more about how you can start down the path to taking control of your symptoms today! © 2019 Propel Pilates and Fitness. All Rights Reserved.